The Hitech 165mm Master Neutral Density Filter Kit (Soft Edge) contains a wide range of 6 neutral density filters, including both soft-edged graduated and solid. 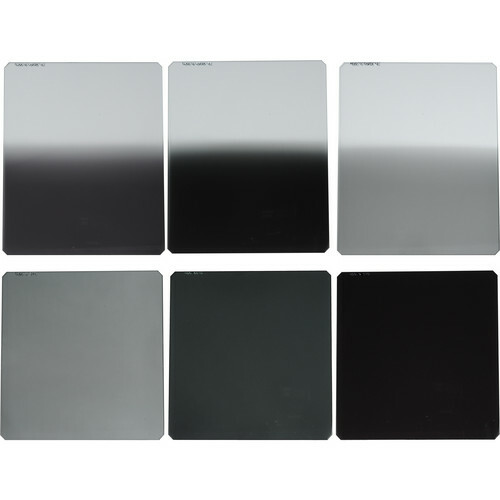 The solid ND filters included are 0.3, 0.6, and 0.9 densities, offering exposure reduction of 1, 2, and 3 stops respectively. An ND filter creates a darkening of the entire image, allowing you to photograph with a wider aperture or slower shutter speed than normally required. By slowing your exposure time or increasing your aperture, you are able to control depth of field and convey movement more easily. These filters measure 6.5 x 6.5" / 165 x 165mm and are constructed from specially dyed CR-39 resin. The ND Grad filters included are 0.3, 0.6, and 0.9 densities, offering exposure reduction of 1, 2, and 3 stops respectively. A graduated ND filter has density on half of the filter surface, helping to darken skies and other bright areas of the image. The filter is most dense at the edge and softly tapers to clear by the middle of the filter. The filters measure 6.5 x 7.9" / 165 x 200mm and are constructed from specially dyed CR-39 resin. Kit includes 0.3, 0.6, 0.9 solid ND filters and 0.3, 0.6, 0.9 soft-edged graduated ND filters. Solid ND filters darken the image, allowing you to photograph with a longer shutter speed or wider aperture than normally required. These filters allow you to control depth of field and convey movement more easily. 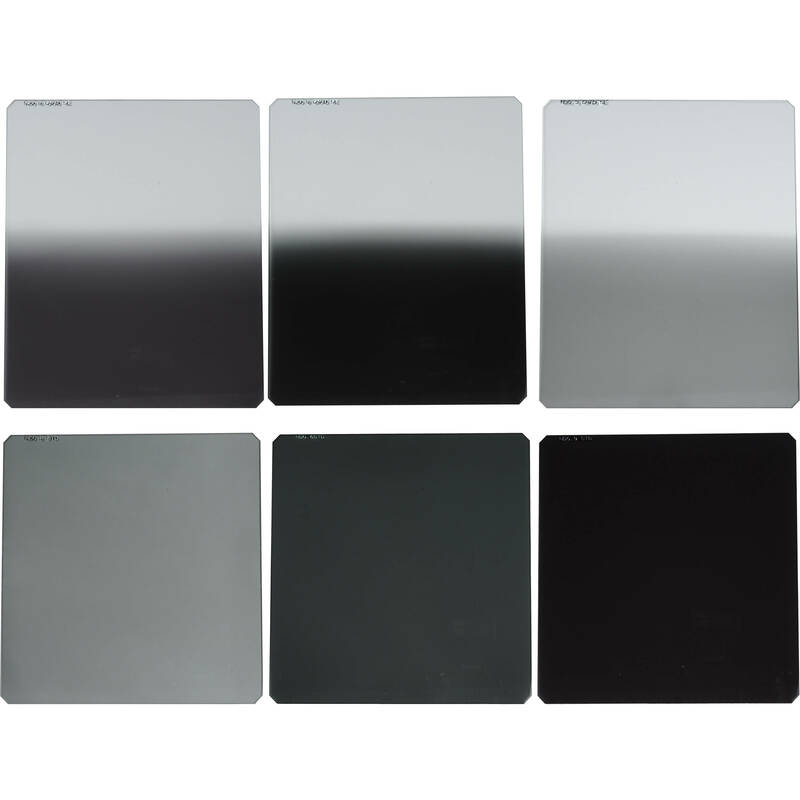 Graduated ND filters provide selective darkening for controlling the exposure of the sky or other bright areas of the image. 165mm Master Neutral Density Filter Kit (Soft Edge) is rated 5.0 out of 5 by 1. Rated 5 out of 5 by Jake from Great kit - Essential Filters Use the filters for time lapse and nature photography. Scenic and landscape.Filters are an essential part of your kit. It's important to go with a quality set made with quality glass. This is a good rout to go. Does the kit include all six filters as pictured? Yes, this kit will include 165 x 165mm 0.3, 0.6, 0.9 Solid ND Filters as welll as 0.3, 0.6, 0.9 Soft Edge Graduated ND Filters.